Meet the 22 Fellows who comprise our 2016 cohort, working on projects that include setting up basic computer skills courses, increasing home internet usage, and volunteer recruitment and training. Adam Strizich is an energetic community organizer and Music City enthusiast. He returns to the Digital Inclusion Fellowship with a year of experience working on a wide variety of digital inclusion projects geared towards empowering public housing residents through education, employment and fellowship. 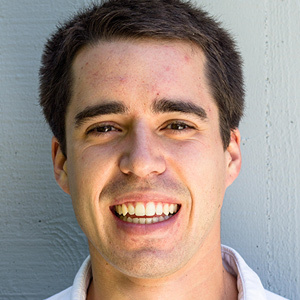 Adam is a proud alumni of Jesuit Volunteer Corp (JVC) where he spent two years living in solidarity with individuals experiencing poverty while striving to live out the core values of JVC: Community, Spirituality, Simple Living and Social Justice. Adam is a firm believer in self-care. When he is taking a break from the digital realm, you can usually find him playing tennis, sharing a home-cooked meal with friends or exploring the great outdoors. Charly Eaton is a Pacific Northwest native where he received his B.A. in Communication Theory at The Evergreen State College. 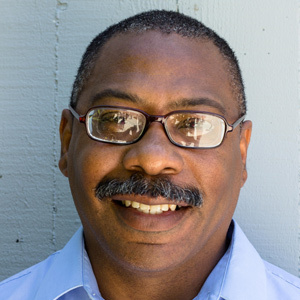 Charly’s career in digital equity began with an internship at Portland Community Media where he worked to expand digital literacy by teaching introductory internet classes to low-income communities and seniors. Since then, Charly has worked as an educator and public servant to the Portland Metro area for over five years. 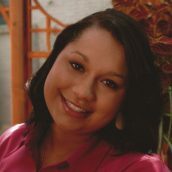 Emma Hernandez holds a BA from Indiana University in Communication Studies. 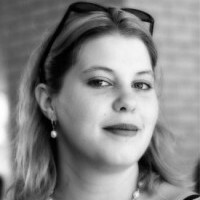 She is passionate about social media, social change and social computing. 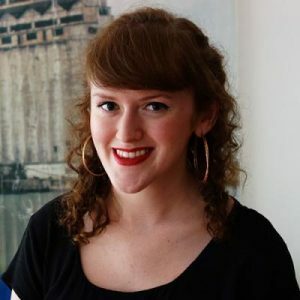 Over the last 5 years she has served as a communications coordinator on integrated campaigns for non-profit organizations, small businesses and social justice groups. Emma has a background in graphic design, fine arts and bilingual program facilitation. Her hobbies include traveling, art making and producing her weekly foodcast. Ernesto Resto Jr. was a military brat traveling the world who ended up in Austin, TX with no work. 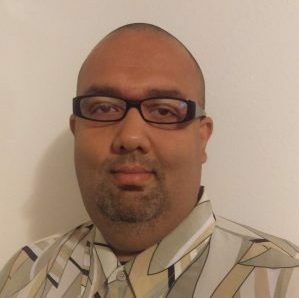 He has studied computer technology independently since the age of 12 and he decided to share the technology knowledge that he obtained with fellow residents of the Housing Authority of the City of Austin (HACA). Ernesto has lived in HACA for about two years and now is the Meadowbrook Council President. 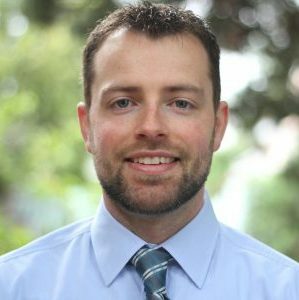 He is also a Digital Ambassador with Austin Path Ways, a Lab Apprentice Program Leader for 5 of 12 HACA properties as well as a volunteer for Austin Free-Net. He was the 2016 TX NAHRO Resident of the Year. He enjoys fixing computers, going to the movies and playing video games with his son. Felicia Tillman is a second year PhD student at Mercer University, pursuing a doctorate in Counselor Education and Supervision. 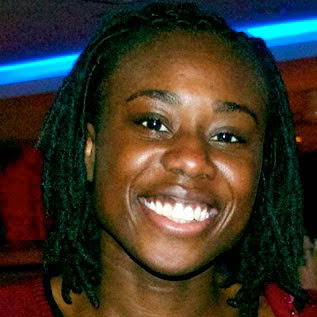 Felicia enjoys community engagement and utilizes narrative interviewing to capture empowering stories of the marginalized. A civil engineer by trade, she has mentored students in the STEM fields and has helped prepare them for the evolving workforce. Felicia is thrilled to eradicate digital exclusion by assisting her community in bridging the digital divide. James Butts has worked as a Digital Inclusion Fellow for the past year with the Triangle Literacy Council. James has engaged local community leaders to ascertain the digital literacy needs in Raleigh/Durham, NC communities. In an effort to bridge the existing divide of digital literacy and training, James has conducted Tech Fairs as well as computer classes with seniors and the unemployed. While partnering with other organizations, James has also been involved in both digital and job readiness classes. James also desires that the community possess literacy skills necessary to instill self-confidence, personal pride, and positive achievement. To this end, James has effectively tutored disadvantaged and troubled teens and incarcerated men and women to increase their literacy levels. 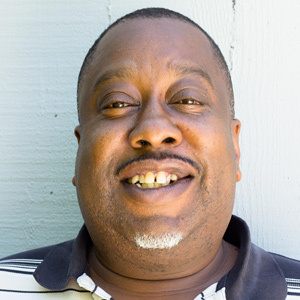 James has helped men and women in the community to successfully earn high school diplomas despite personal, social, or economic struggles. 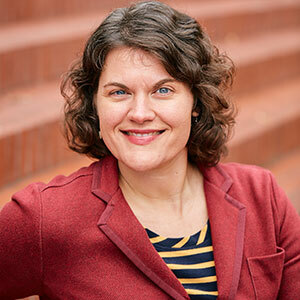 Jamie Littlefield is a teacher, instructional designer, and community activist. She earned a Master of Arts in Education from Claremont Graduate University, a program dedicated to reaching students in underserved neighborhoods. She later taught English in tech-enriched courses at Utah Valley University. As an instructional designer, she developed the school’s online English 1010 curriculum. Jamie curates a Little Free Library in the front yard of her Provo home and loves to explore the city from the seat of her blue bicycle. Margo Scurry is passionate about training as it has been a major asset in just about every aspect of her career but most significantly through her work with workforce development non-profits and as a provider of custom training services in her community. In her work, she has particularly championed the importance of digital inclusion to provide access and opportunities for Charlotte’s under-served populations and especially loves to work with seniors. Mr. Byrd earned his Doctorate in Law at Cleveland State University’s Cleveland Marshall College of Law as well as his Master of Business Administration degree from Cleveland State University’s Monte Ahuja College of Business Administration. He has over 25 years of business experience in sales, marketing, strategic management, project management, economic development, consumer targeting, interim executive leadership, nonprofit consulting, integration of social media with outreach campaigns, and business development. 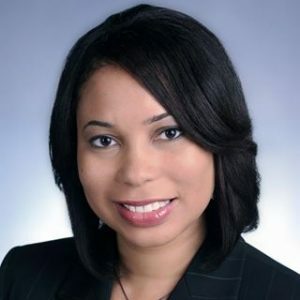 Munirih Jester is a graduate of University of Texas at San Antonio with a degree in public policy and non-profit management. She has interned at TATOA and the Federal Reserve Bank of Dallas on a collaborative effort to expand digital opportunity in the Rio Grande Valley. Originally from Brazil, she is interested in community development and expanding opportunities for people of different backgrounds to meet and learn from each other. Her hobbies include travel, hiking, camping, and dreaming of going skydiving one more time. 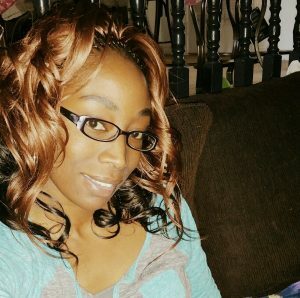 Rondalene Wright was born and raised in Atlanta, Ga. She graduated from the University of Phoenix with a Master’s Degree in Adult Education and Training. She has been teaching for about 5 years. She has experience in teaching ESL and GED. She has a passion to help adults achieve their educational goal. In her free time, she enjoys traveling, shopping and spending times with her son. Samantha Akwei is a poet, activist and community leader whose deepest desire is to help communities transform for the better. She believes the key to sustaining any community is developing the consciousness of its people and providing access to its resources. She sees digital literacy as a key factor in maximizing how individuals communicate, create tools to solve societal issues and compete for better jobs and services. She is a Masters in Public Administration candidate at San Francisco State University and earned a BA in English from Spelman College. Sara Rasmussen is a committed advocate for using technology as a tool for social justice. 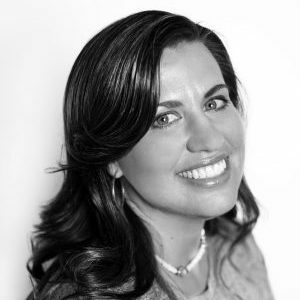 A communications strategist, digital marketer, designer, and project manager, Sara worked most recently for Pyramid Communications, a communications agency for causes. Sara volunteers with PDXTech4Good, where nonprofits and techies share resources for using technology effectively, and serves on the board of the Media Institute for Social Change, a public interest lab for emerging media producers. In spare moments, Sara enjoys sleeping, cooking, and watching Buffy the Vampire Slayer. Born and raised in Oregon, she holds a degree in Politics from Whitman College. 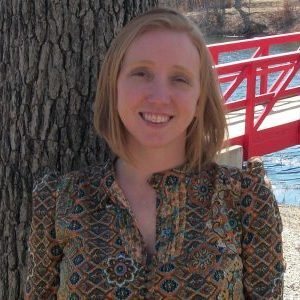 Sarah is a PhD candidate in the history department at the University of Kansas and has a passion for education and making information accessible to everyone. Sarah originally joined Literacy KC as an instructor in May 2015, and she moved into the Fellowship position in December 2015. She believes digital cannot be separated from discussions of literacy in our technology-driven 21st-century society, and she is excited to continue this important work for a second year! 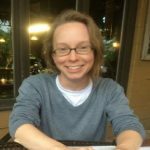 Shauna Edson is currently working toward a MS in communication with an emphasis on rhetoric and composition at the University of Utah, and has worked extensively in community literacy at the SLCC Community Writing Center. 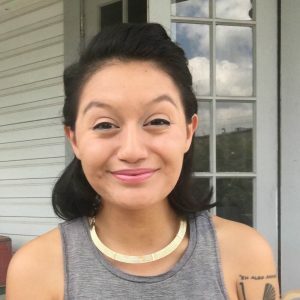 She addresses concerns such as education without appropriation, accessibility, managing difficult conversations, communication, and working with digital and traditional literacies in the community. When Shauna is not on the trail, snow, or water, she lives in downtown Salt Lake City with her two boys and dog. Stacy is a reformed nomad who set down roots in Salt Lake City, Utah. She holds a B.S. in Sociology and a Masters of Library Science. 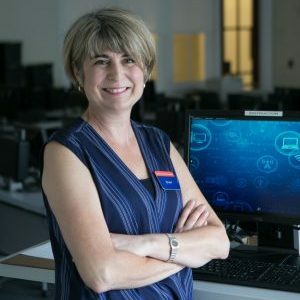 As a public librarian she has worked with volunteers, refugees, the homeless, and community leaders to address many types of literacy, including digital literacy and health information literacy. She enjoys rock climbing with her husband, skate skiing, and making a mess in the kitchen. Susan Reaves is a licensed 7-12 teacher in the state of Tennessee and is returning for Year 2 of the Digital Inclusion Fellowship. Some of Susan’s key accomplishments during the first year of the Fellowship with the Nashville Public Library include: community adoption and awareness events such as technology fairs and partnering with Studio NPL for a Digital Inclusion PSA competition, providing digital literacy curriculum and instruction for broad based public-private collaborations like ConnectHome: Nashville, and collaborating with library services to incorporate digital inclusion into programming. Her previous experience includes major account sales with Sprint, development with Vanderbilt University Medical Center, and medical industry marketing. She received an M.Ed in Curriculum and Instruction from Middle Tennessee State University and a B.A. in Economics from Tulane University. Susan and her husband have two adult children, and she enjoys reading and volunteering in the Nashville community. 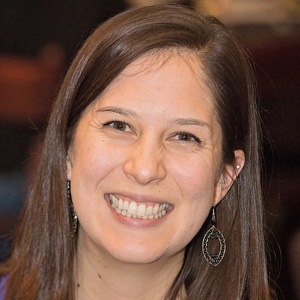 Tanja Hernandez is an active San Antonio resident, advocating for the empowerment of communities, and helping to build their capacity with increased digital access and the use of freely licensed technology resources. 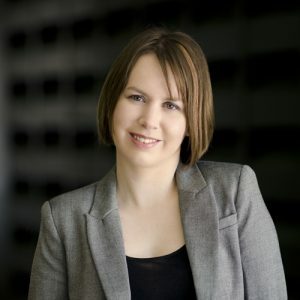 Tanja received her Bachelor’s Degree in Public Administration from Park University, and is pursuing a Master’s degree in Community and Economic Development from Penn State University. She has worked to advance the quality of life for community residents in San Antonio, through family care, digital and financial literacy, and STEM education programs. 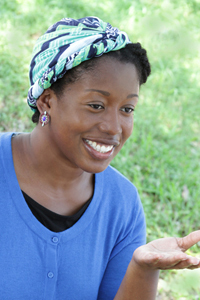 Tianca Crocker is motivated by a desire to see positive social change in underserved American communities. She has worked in a variety of service-oriented and advocacy roles over the last decade. 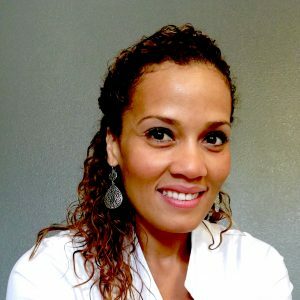 Tianca is currently completing a doctorate degree in Social Work at the University of Texas at Austin where her research focuses on the intersection of digital inclusion and poverty alleviation. She enjoys stand-up comedy, great music, awkwardly snorkeling, and discovering new web-based services. Wendy has served her community through a variety of nonprofit roles for over 9 years. Her passions include serving low-income communities through empowerment programs and building the capacity of nonprofit organizations to maximize service to those who need it the most. 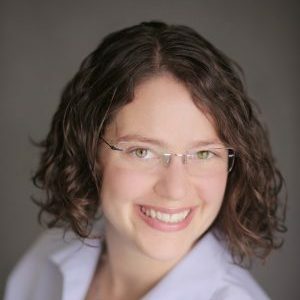 Wendy is very excited to serve as the Digital Inclusion Fellow for the Kansas City Library to help ensure access to technology and maximization of the library’s great resources as our city continues to advance and technology becomes more and more required in daily life. 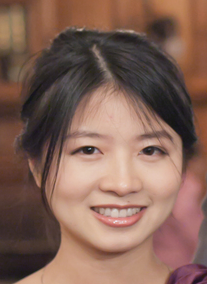 Wenwen Shi designed and implemented a digital inclusion program in rural China for her dissertation project (a field experiment). The digital divide does not only exist in developing countries, but also in Silicon Valley. She continues to pursue her interest in closing the digital divide by volunteering for nonprofit organizations in the San Francisco bay area and joining the Digital Inclusion Fellowship. While studying for her degrees, she taught undergraduate courses, worked at research centers, and interned at the Michigan governor’s executive office.